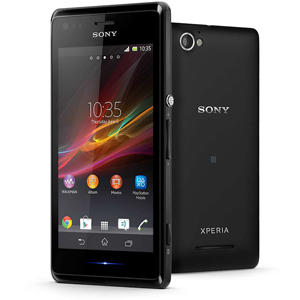 The Sony Xperia M is a low end smartphone. Released in August 2013, it features a 1GHz dual-core Qualcomm processor, 1GB RAM and 4GB of internal storage. A MicroSD slot allows for an extra 32GB to be added. The 4" display has a resolution of 480x854. The Xperia M has a 5MP camera, which can record video at 720p.